Too often, we forget the joys of R-rated films. 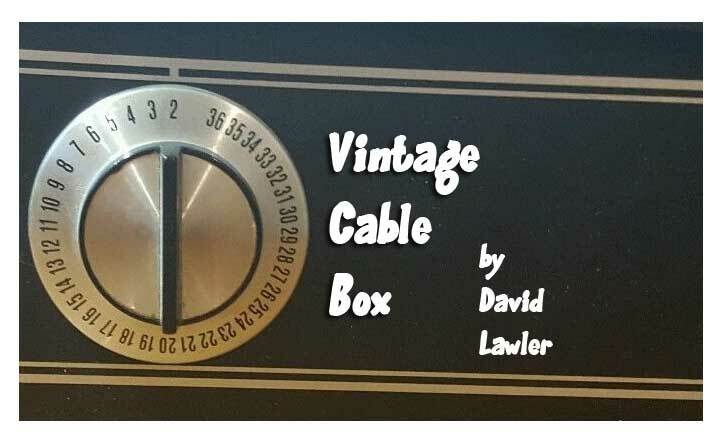 Staying up late on a weekend to watch horror and science fiction movies from the late 70s to the early 80s on cable television was more fun than any 11-year-old deserved. HBO has a long-standing policy to prohibit viewing of R-rated films before 8:00 pm, Eastern time. The Movie Channel showed R-rated movies all day; they didn’t care. They figured if you were paying for the service, you should get to see movies for adults. Back in those days, there was no PG-13 rating (the uncomfortable middle ground of excessive violence in films made for kids). 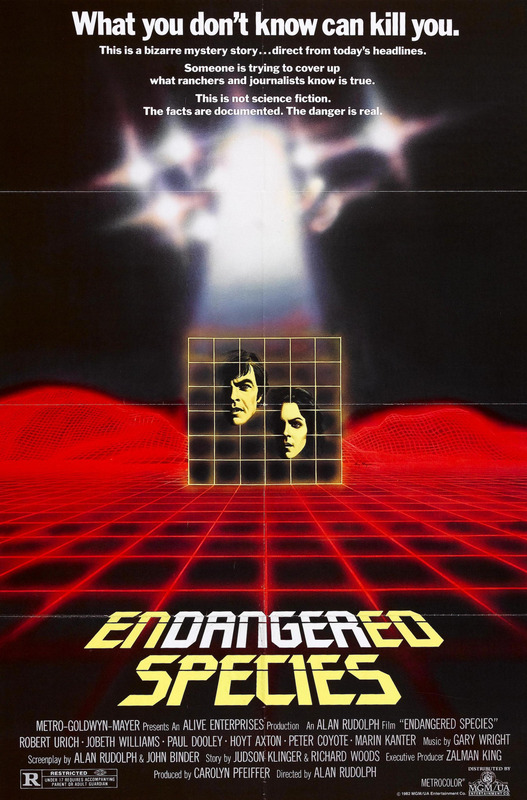 Which leads us to this week’s movie, Endangered Species, which, if it were released these days, would most definitely have received a PG-13 rating. Robert Urich is a chain-smoking, alcoholic New York cop, tough-as-nails. He’s a Mets fan in 1982, so he has to be disillusioned as well. He takes his reform school, tom-boy daughter off on a vacation to beautiful Wyoming, but they get sidetracked along the way. JoBeth Williams is a hot small-town sheriff named Harry (short for Harriet) investigating a series of grisly cattle mutilations. Organs seem to be removed surgically. Soon, suspicion points to satanic cults, devil worship, and little green men and unidentified flying objects. The script takes great pains to show that JoBeth is hard-as-nails, though the locals do tend to marginalize her for being a woman, otherwise this a strong female character. It doesn’t take long for Urich and Williams to lock eyes. Robert Altman protégé Alan Rudolph seems an odd choice to direct a science fiction potboiler like this, if you don’t consider his first films were the trippy cult genre pieces, Premonition and Nightmare Circus. If you removed the cattle mutilation plot and conspiratorial tones involving germ warfare, there are some very quirky, very charming character beats, which is probably what appealed to Rudolph in fleshing out the story by Judson Klinger and Richard Clayton Woods. There is a nice visual analogy at the beginning of the film comparing cattle out in a field to New Yorkers bustling about in the streets. Alan Rudolph went on to direct several high-profile movies, but basically served to propel conversations between cineastes who liked to throw his name into the mix to show they understand modern cinema. Films like Mortal Thoughts and Mrs. Parker and the Vicious Circle, while interesting, are not terribly entertaining. JoBeth Williams is rightly considered the mother and wife of the burgeoning horror movement of the eighties due to her presence in movies like Poltergeist. Robert Urich, appeared in Soap, Vega$, and Spenser: For Hire. He died, tragically, at 55, from synovial cell sarcoma.